In the advance from chunky plastic cartridges to slim film discs, much of the old generation of gaming was lost. Sure, we look back on the experiences we had in awe of 64 bit graphics and controllers that couldn’t fit our hands, but is that because of pure nostalgia, or rather because the games of the 90s were just too good? Let’s face it, under the layers of conventional gaming today, we’re not finding many unique gems on any platform, and whilst there are adventure games and extensive plotlines that grab our attention, some of us just want to brush away the repetitive franchises on show and just play something original and challenging. Banjo-Kazooie was widely recognised as Rare’s leap of faith into the games industry. 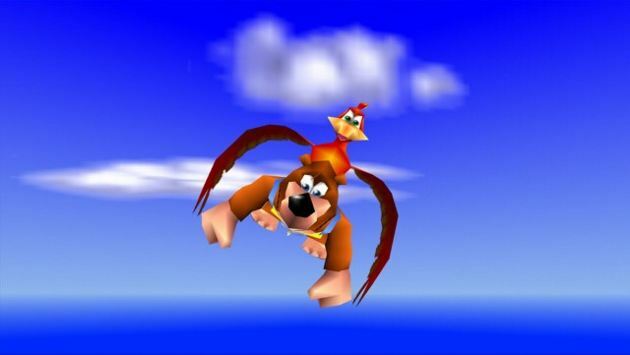 Featuring a brown honey bear walking upright with a red-crested, fictional aviary race called a “bregull”, it’s safe to say that Rare had already gelled well alongside the other unique characters of the Nintendo vista, and expanded the complete lunacy which was platform-gaming. 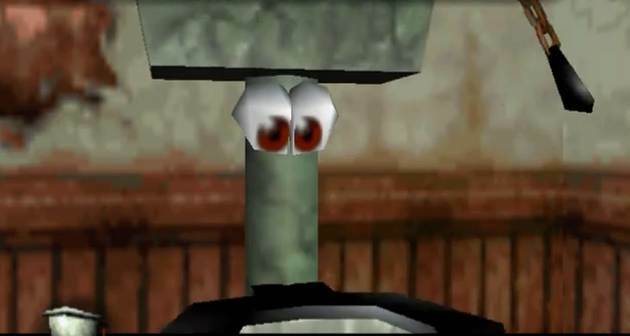 In many instances of Banjo-Kazooie, the player would find themselves fighting ludicrous boss battles in the form of giant crabs, exploding crates and invisible organ grinders – put to the test by a multitude of puzzles and environments. From my experience playing Banjo Kazooie at a young age and following up years later with a purchase on Xbox Live, as an adult, Rare efficiently created a game that would appear challenging to a broad audience. Probably the most significant and certainly the most entertaining part of the gaming experience was the utter craziness of it all. As gamers, we do expect the odd creepy three-headed alien, the exploding creeper or the idiotic zombie with a bag on his head, but never would you expect to find such a vast array of insane NPCs, ranging from deranged camels to a tribal shaman, both willing to help you through your travels. But then again, for anyone familiar to Rare, this was the same company which created Conker’s Bad Fur Day – the story of a red squirrel lost after a heavy night at the local, fighting his way through wads of talking poo and defeating a cluster of Nazi German bears. Really, I’m not joking. 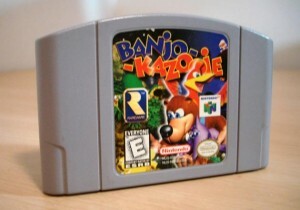 Banjo-Kazooie is coupled with not only a memorable gaming environment, but with an epic soundtrack. 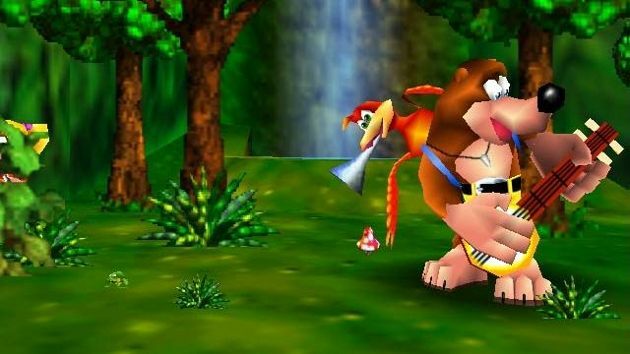 Similar to the style of Spyro, old platform Rayman and Croc, Rare really came into their own visualising the story of a bear and a bird on their quest to save Banjo’s sister. Not every game has an across-the-board experience however, and Banjo and Kazooie isn’t without its faults. While it’s big, very big, and there are jigsaw pieces (unoriginally called Jiggies) for the player to collect, it sometimes felt a little tedious navigating a large central map just to place that one extra Jiggie you found by accident. Additionally, when I played the game, I found the camera angles demanding, and sometimes unintentionally distracting. Who wants to be walking across a thin surface above lava whilst the camera spins like a roulette table? Nevertheless, Banjo and Kazooie is one of the pillars of the retro corner of pure sophistry. Dazzlingly unique, comedic and likable, I’m sure many of the more open gamers would find themselves replaying it for years to come. I mean, who doesn’t love some toilet humor while battling witches and dragons? …You wouldn’t find a talking toilet in Skyrim.